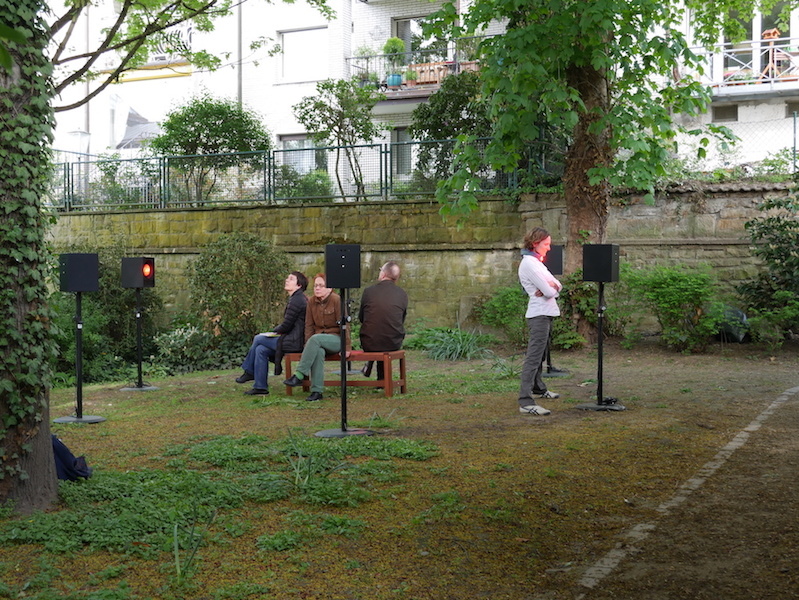 A new outdoor site-specific light and sound installation, Lost Times, has been commissioned by Galerie im Körnerpark / Kultur Neukölln. I will be participating in the Interfaces Residency in Nicosia, Cyprus in July of 2018. 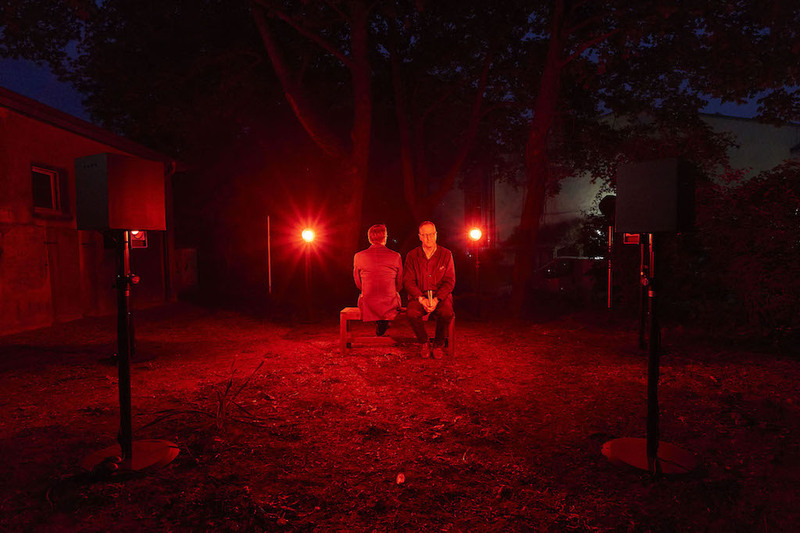 A new sound installation "The Psychoanalysis of Fire" has been commissioned by this year's Wittener Tage für neue Kammermusik. 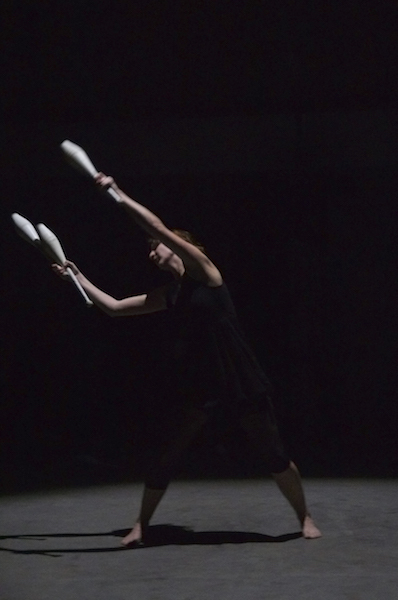 A new version of "Diction" (2015) will be presented as part of Studio 8's Vibrant Matter series, organized by Heather Frasch and Rebecca Lane. New installation "Harbinger" for a large-scale group exhibition at Berlin's Galerie im Körnerpark curated by Anne Brannys. Chelsea Leventhal (*1985 in Berkshire County, USA) is a sound artist and composer of electroacoustic music based in Berlin, Germany. 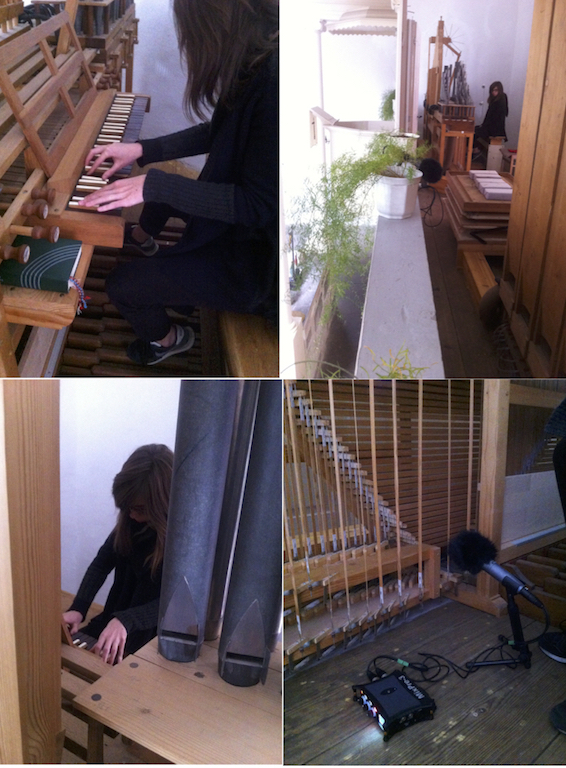 Her pieces engage the reanimation and articulation of space, perception of auditory archetypes and creation of sonic allegories, taking the form of multi-channel electroacoustic compositions, large-scale site-specific sound installations and sound objects involving kinetic components. She participated in the European Course in Music Composition and Technologies in 2007-2008 through which she studied at IRCAM in Paris and spent a semester working as a guest at the studios of the Technical University Berlin. She holds a graduate certificate from the Franz Liszt School of Music in Weimar in Electroacoustic Music Composition and a Master of Arts in Sound Studies from the University of the Arts in Berlin. She has received commissions from organizations such as ZKM in Karlsruhe, Pépinières Européennes pour Jeunes Artistes in Paris, id11 in Delft, Kultur Mitte in Berlin, and the Wittener Tage für neue Kammermusik. Her works have been presented at IRCAM, the Inventionen Festival, MaerzMusik Festival, the Academy of the Arts in Berlin, the New York City Electroacoustic Music Festival, and other diverse and often unusual locations in Europe. 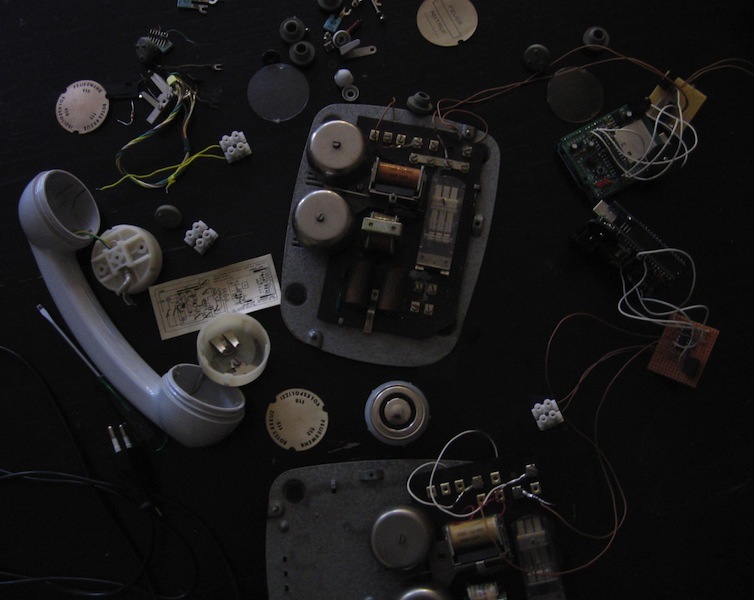 She was a finalist for the European Sound Art Award in 2016 and a recipient of the "Braunschweig Projects" grant from the Ministry of Science and Culture of Lower Saxony in 2017. 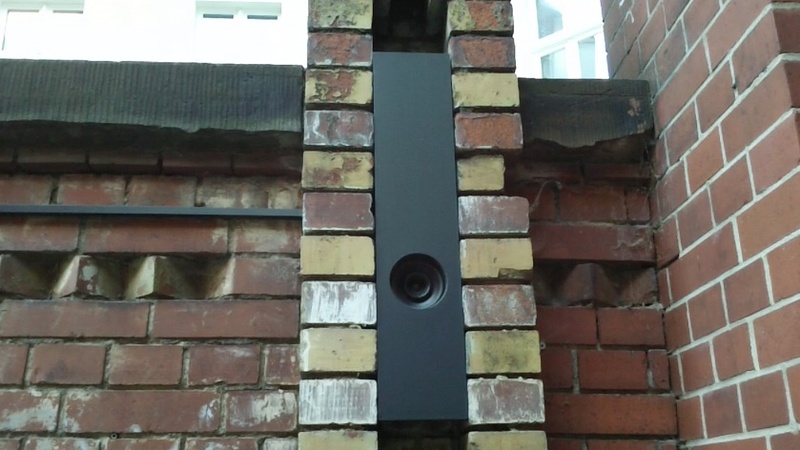 6-channel sound installation with infrared light. Commissioned by Kulturforum Witten for the Wittener Tage für neue Kammermusik. Psychoanalysis of Fire is a multisensory, multichannel sound installation that draws on Gaston Bachelard's book of the same name. Bachelard examines fire as a source of fear and fascination, a symbol of life and death, something both intimate and universal, and perhaps most essentially as the “first object of reverie, the symbol of repose.” The sound installation focuses on the acoustic byproducts of combustion, deeply ingrained in the human experience yet elusive in our contemporary society. Employing heat and light from infrared sources, the piece considers the anthropological context and social connotations of fire and flame. Fire is ultimately revealed as a psychosensory construct rather than a scientific phenomenon. 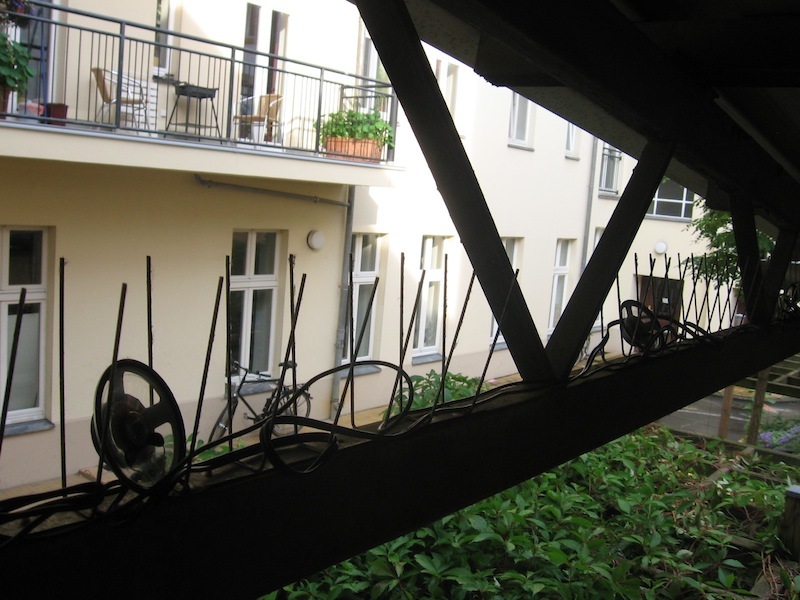 8 channel site-specific installation, Galerie im Körnerpark, Berlin. The exhibition "Eine Enzyklopädie des Zarten," based on the book by curator Anne Brannys, examines the presence of tenderness in the works and working processes of artists. 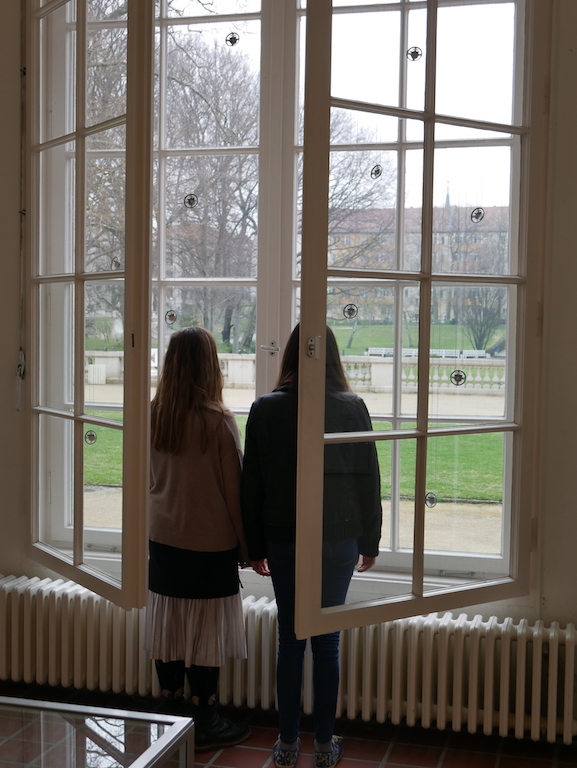 The installation "Harbinger," which reimagines the experience of standing in front of a window listening to rain, forges a connection to this theme as well as the architecture of the gallery, which was in former times an orangerie. 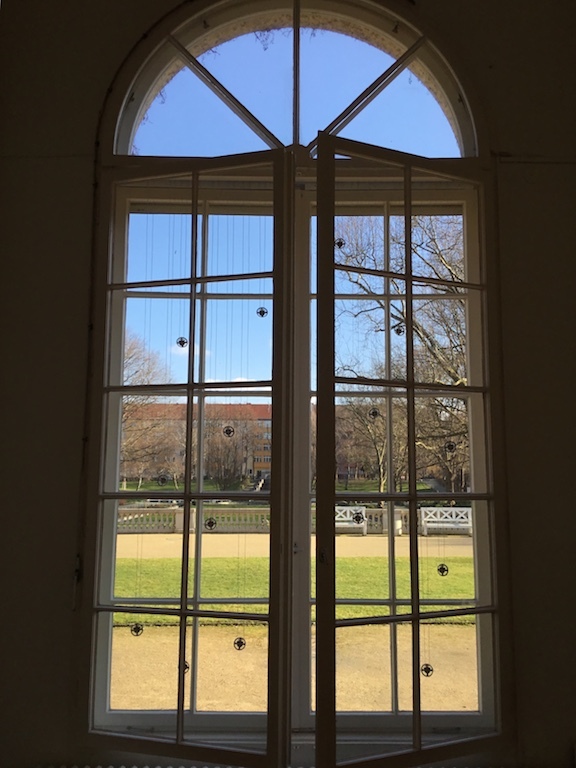 The visitor can position themselves in between the two sets of windows, directly among the hanging speakers, and watch spring unfold in Körnerpark outside. 2 channel site-specific installation, Schlosskapelle, Weimar. 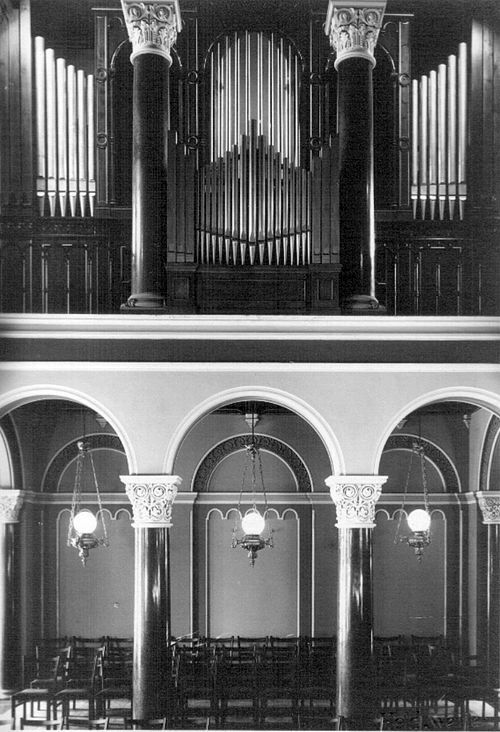 The Bachstätte Organ was an integral part of the chapel in Weimar's Schloss until the chapel was closed in 1962 and made into an archive. The organ was dismantled and a four-story elevator for books was built where it had once stood. The chapel is now empty, but retains clear traces of both of its former identities. To create the installation, the remains of the organ, now located in the Laurentius Kirche in the village of Karsdorf/Unstrut, were tracked down and recorded. 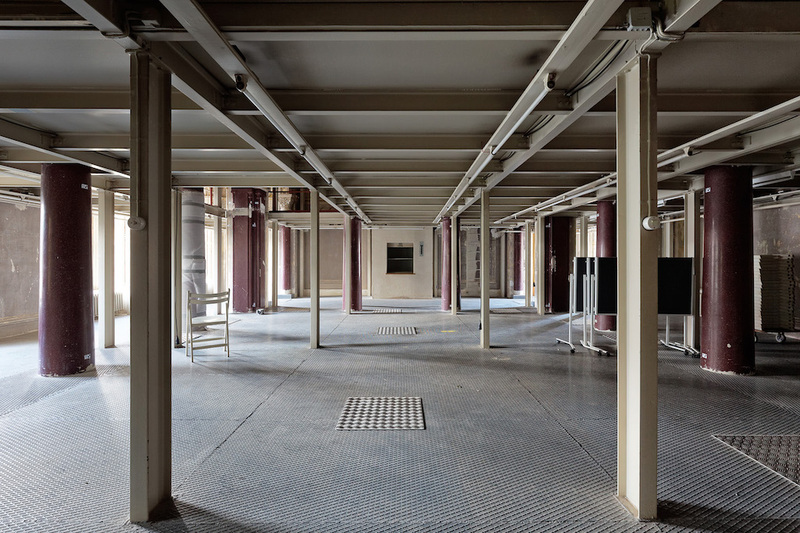 A composition created out of the low sounds of organ tones and the air pump were diffused through two speakers placed in the elevator shaft, remaining just on the threshold of audibility for those who entered the space. Liminal Extensions II is a large-scale sound installation that examines the role of sound in the creation of liminal states such as entering, exiting, or hesitation. 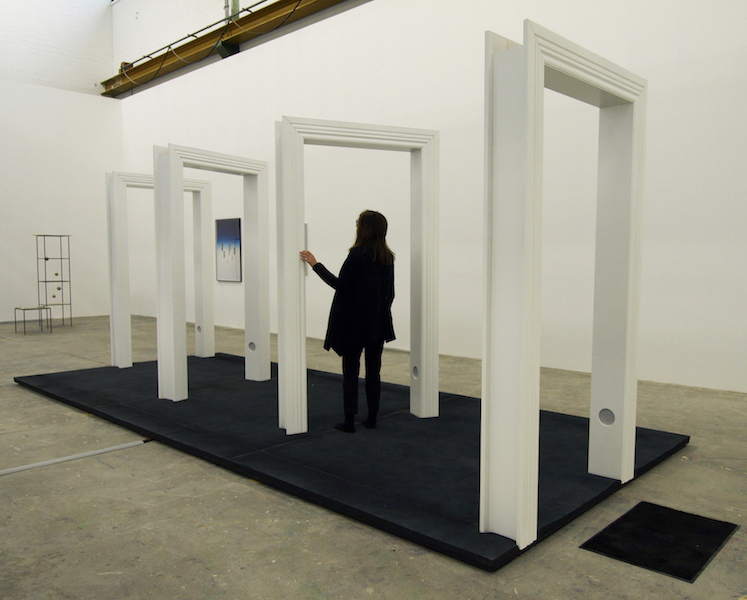 Passing through sculptural elements that have the clear form of doorframes, the visitor walks on a layer of dyed memory foam, which dampens the sound of their footsteps, reducing them to a purely tactile experience with a visual echo. 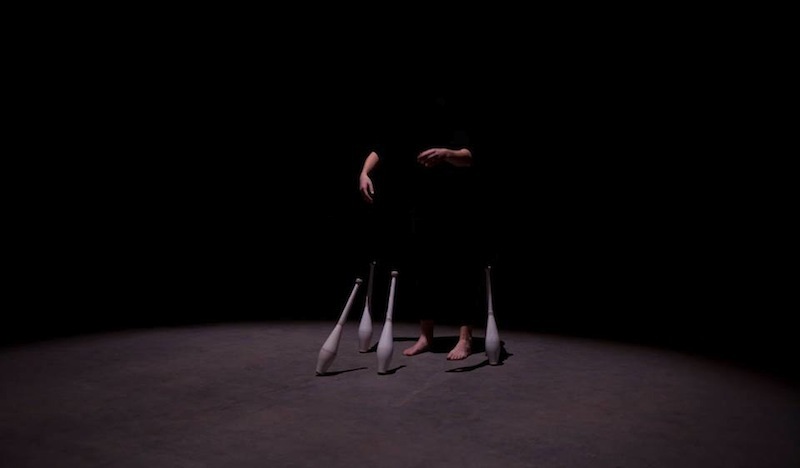 At the same time, they perceive the sounds of footsteps traversing the space, which they cannot equate with their own movement or the room acoustics or materials around them. The 8-channel composition emerging from speakers integrated into the doorframes introduces the impossible sounds of creaking floorboards, splashing water, or echoing marble, but also uncanny moments in which fantasy and reality merge. Construction Mentorship and Assistance: Heinrich Kampani, Klaus Krzykowski, and Kai Bloch, HBK Holzwerkstatt, Braunschweig. 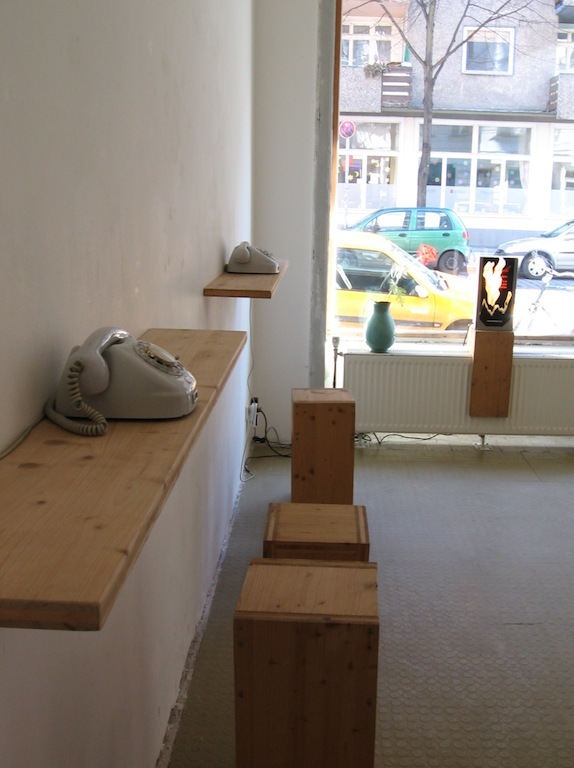 5 channel site-specific installation, Neues Kreuzberger Zentrum, Berlin. 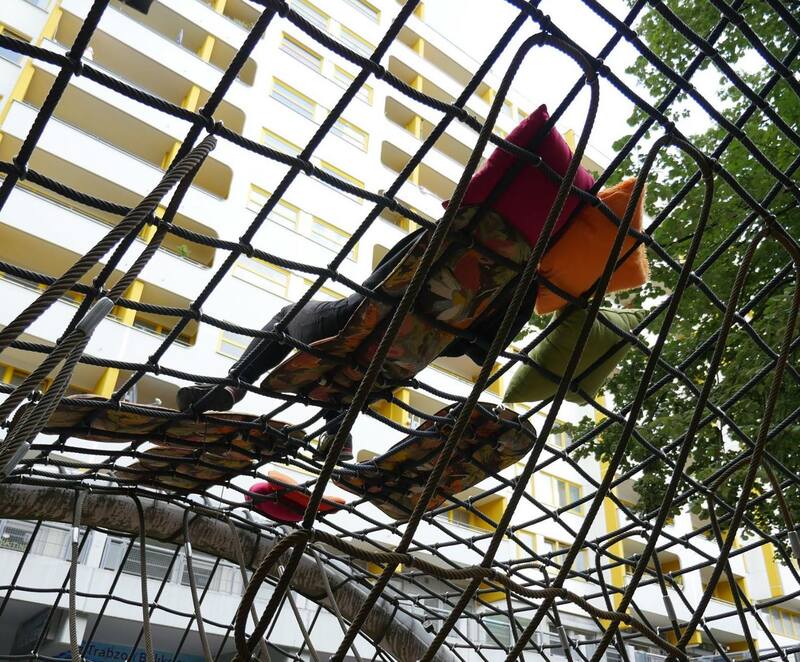 On a playground adjacent to the Neues Kreuzberger Zentrum, a block of apartments, shops, and restaurants near Berlin’s hectic Kottbusser Tor station, small speakers were installed in a jungle gym structure that visitors could climb on. Sitting or lying several meters above the ground, they were positioned to listen to the five channel sound composition, which featured sounds of animals and birds in their natural habitats cross-synthesized with recordings of sounds projected by humans in the city, such as cell phone ring tones, boomboxes, and voices. 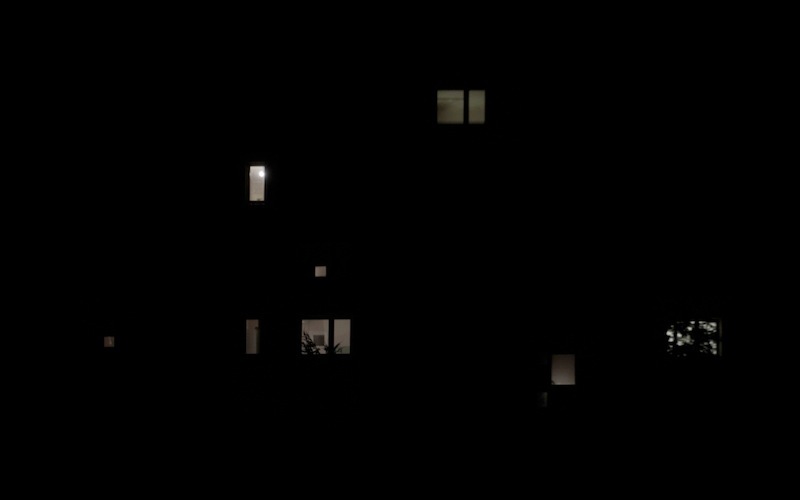 The constant nearby din of Kottbusser Tor, Berlin’s urban jungle, forms the background to this light and frenetic mixture of sounds, an integral part of the piece as well. 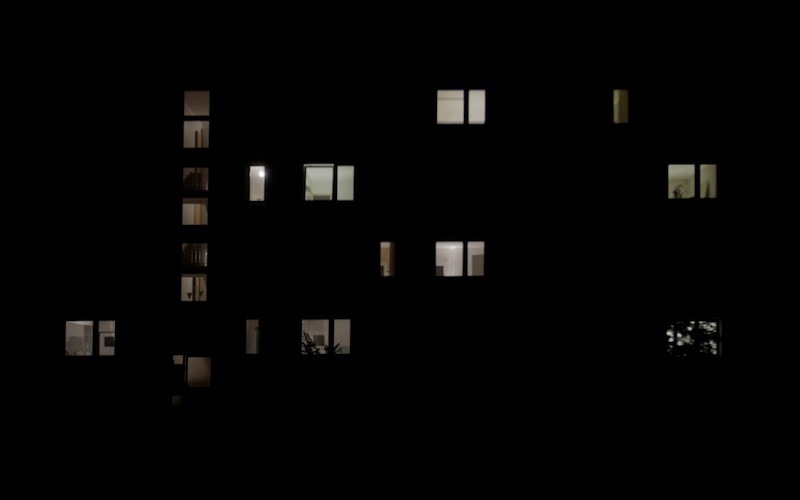 A previously abandoned East German block apartment building in rural surroundings is the subject of an 8-channel sound installation featuring a large-scale projection. In an inversion of site-specific practices, this place is captured and re-imagined through sound and image. In the sound composition, an acoustic re-construction of the space emerges from recordings of doorbells, water heaters, radiators, and dripping faucets now fallen into disuse. The sound is diffused through eight loudspeakers arranged in vertical and horizontal arrays, most notably in two columns on either side of the projection. The projection features the facade of the building at night. 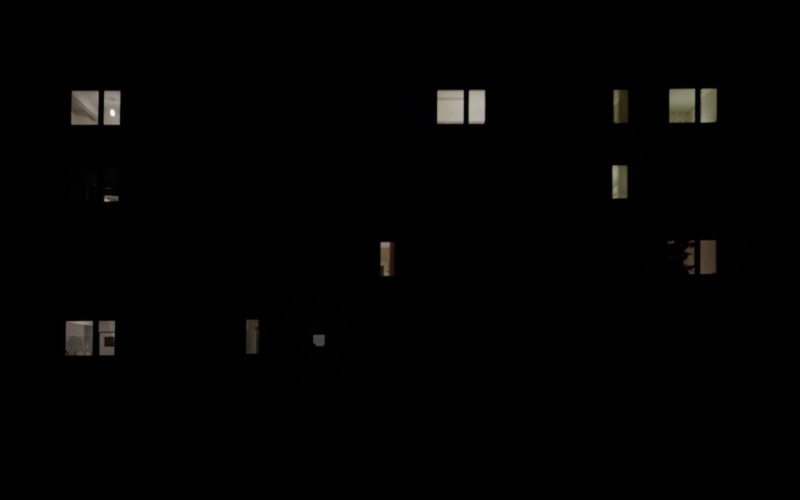 Lights inside the building are switched on and off, making room interiors alternately become visible through the windows and disappear into darkness. This ever-changing grid, which constituted the score for the temporal and spatial organization of the sound, in turn becomes a visual elucidation for spatial listening in the experience of the visitor. As different constellations of light, shadow, attacks and resonances are formed, the facade is presented as a point of confrontation with the dialectics of inside and outside, as well as inclusion and isolation. A thoroughly choreographed representation of dwelling acts as a vessel for interpretation, imagination, and memory, speaking to the experience of the housed. 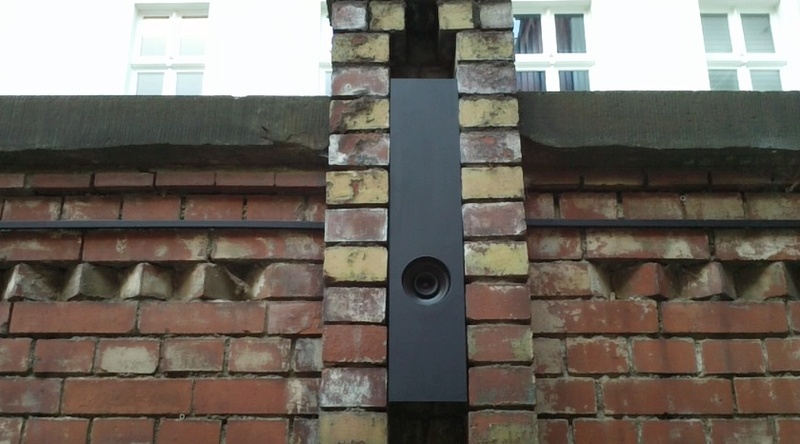 An installation which thematizes the unique sound worlds of Berlin’s “Hinterhöfe.” Five loudspeakers have been mounted in chalkboard along the brick wall in the courtyard of the municipal gallery in Berlin’s city center. 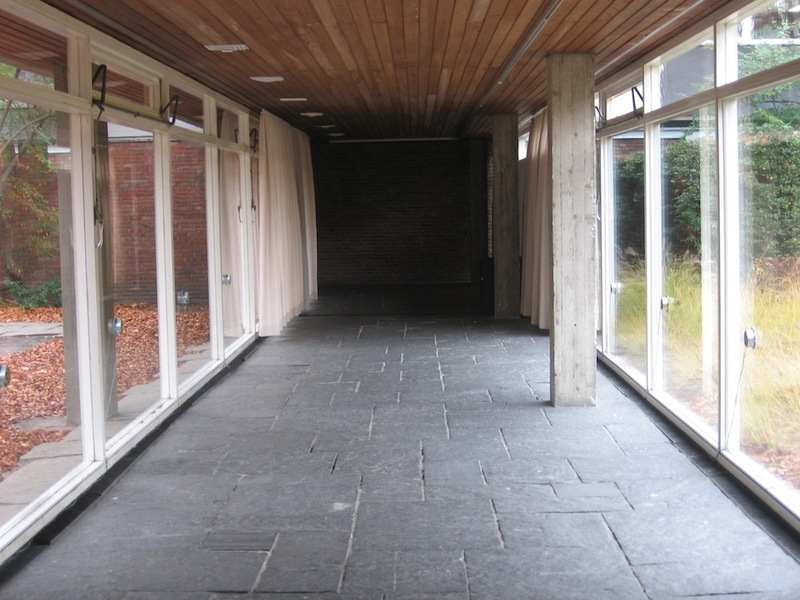 Typical courtyard sounds, such as that of a clothesline being pulled, trash bin lids slamming, glass shattering, and running water are processed and combined to create textures which flow up and down the five-channel array. 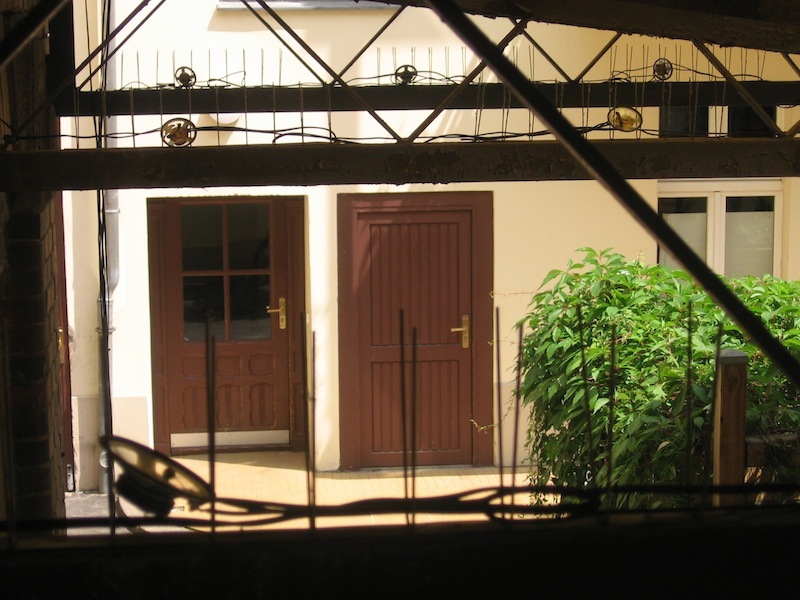 Also included in the composition are recordings of sounds from the world outside that flood into this specific courtyard, such as the droning of airplanes, church bells, cars going by, and the referee whistle of a nearby soccer field. When these recurring external sounds and their recorded counterparts coincide, ambiguous moments between reality and fiction are created. In this sense, the piece is an exercise in psychogeography, blurring time and exponentially increasing the possible auditory experiences of the space. Archival material from Black Mountain College, namely rector Charles Olson reading two of his poems on campus in 1954, is reanimated with a single subwoofer. The recording of Olson’s booming, masculine voice reading “The Songs of Maximus” and “The Kingsfishers” is processed in such a way that layers of bass frequencies, resonance, and noise are isolated and re-combined at will. The words may become incomprehensible as the voice is repeatedly forced to a point of distortion, or completely disappears into a wash of high frequencies, but the diction remains detectable and present as the driving force beneath the meaning. Site-specific 4-channel sound and light installation. Presented in the offices of Hi-Res! Agency Berlin for the exhibition Resonanz: Klang.Kunst.Gesellschaft. 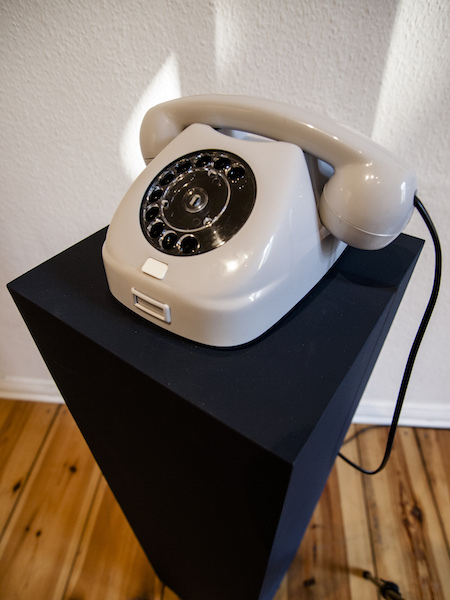 Disquietude is a sound installation that explores the phenomenological and emotional experience of eavesdropping, as well as the trope of surveillance in our collective imagination. 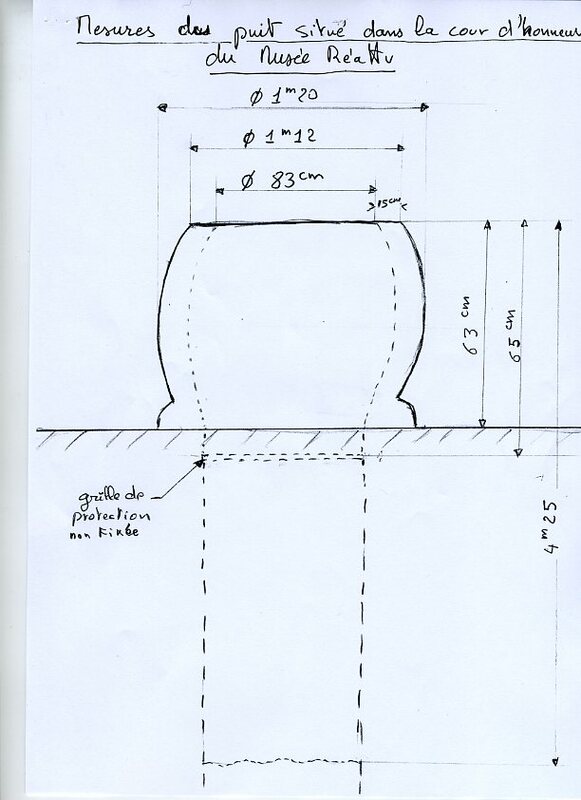 The installation is a site-specific intervention based on a confrontation between the visitor and a closed door outfitted with the archetypical eavesdropping device: a water glass. Standing in front of the door, the listener can first hear faint, muffled sounds of voices from within and see shadows moving. Stooping to press their ear against the glass, they experience an amplified and clearer signal. With listening at the door as its starting point, this installation, ultimately a work of fiction as well, invites the listener to consider the implications and inherent vulnerability of the act. 17-channel sound installation. 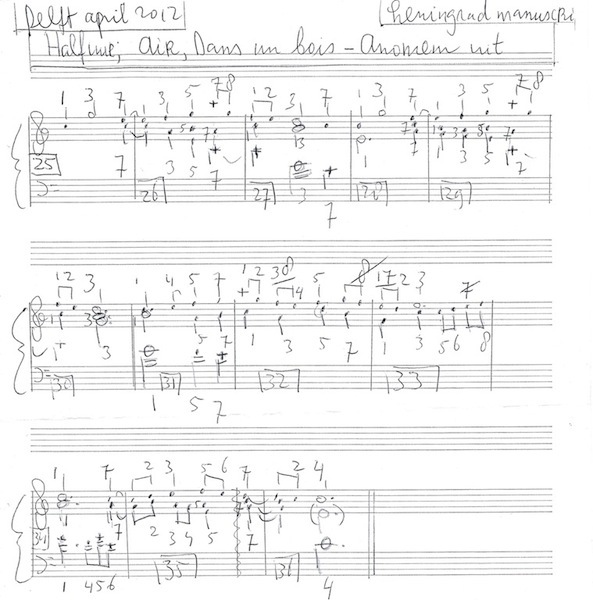 Commissioned by Kontraklang and premiered at Heimathafen Neukölln for MaerzMusik 2015.
to 'exist as a single unity.' But they rue the day. I met one of them. completely, as though it had never existed. An immense world still heard it is a sound installation that occupies a territory between documentation, deconstruction, and resurrection. Sifting through impressions of a sonic intervention that took place in the summer of 2012, it is a re-examination of fluid lines and fleeting textures occupying a hostile sonic environment. Transposing the space mandates a change in dimension and perspective, as well as confrontation with the dichotomy of the interior and exterior. The new starting point is the environment as perceived from the interior of a metallic vessel, the enclosed perspective of which is then superimposed onto the concert hall. With this inversion, sounds that previously seemed to disappear into the wind are preserved, and the space is contained in all of its echoing instability. 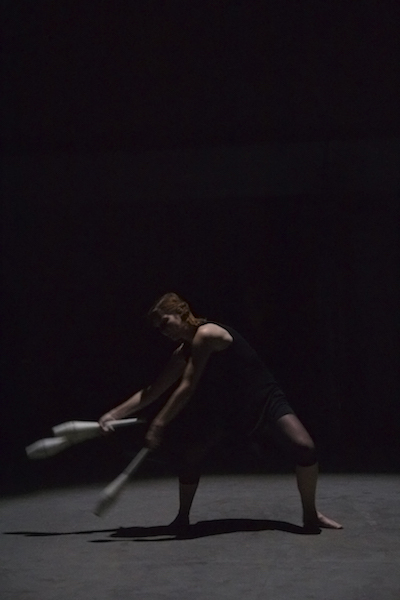 Still/bewegt is a piece created together with Anni Küpper that resulted from a one-week residency in December of 2014. 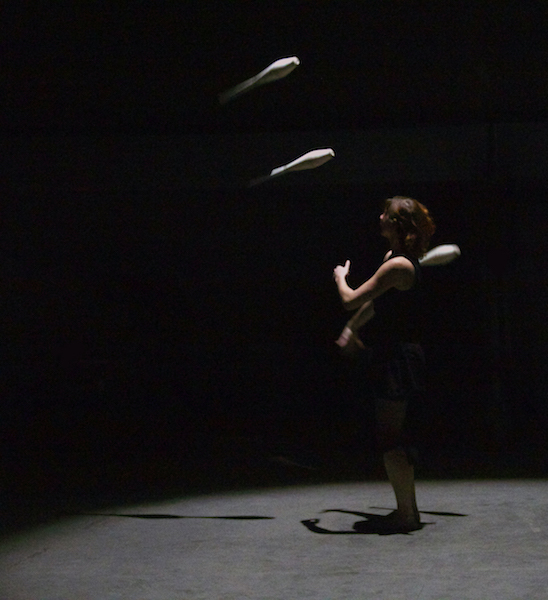 This first collaboration joins a multichannel auditory experience with juggling performance. For this piece, a six-channel electroacoustic work was diffused from three columns of speakers arranged in a triangle around the performer. 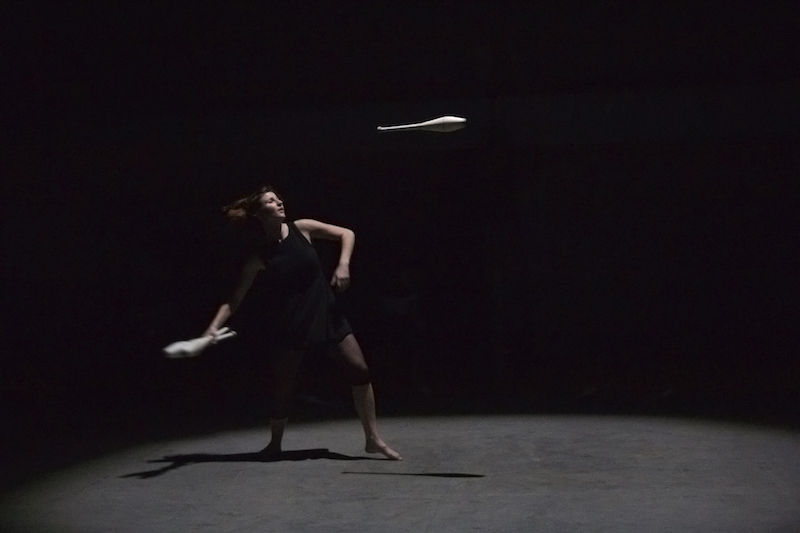 The sonic material, consisting of manipulations of the scraping of the clubs on concrete and a cymbal vibrating on dry ice, was both influenced and matched by the choreography in a reciprocal process. Through the play with suspension and acceleration, a shifted perception of time is triggered. The composition and performance together establish an organic texture inside of a synthetic universe. 42 channel Electroacoustic composition, 10'35"
The starting point is the image of a protagonist who finds himself alone in the desert after retreating from civilization. The piece witnesses the creation and destruction of an intimate sphere of familiar sounds, the collapse of the fortress he’s built around himself, and the invasion of sonic fragments of a previous life, remembered or imagined. Omega Adrift was created during a residency at the Institute for music and acoustics at the Center for Art and Media (ZKM) in Karlsruhe, Germany. This piece should be played at a very low volume, inaudible at the beginning. It is a relic of a series of tape miniatures that explored a fictitious landscape of metal and water. The eye’s process of adapting to the dark occurs in both rapid and slow processes on a biochemical, physical and neural level. The dilation of the pupil and convergence of rods in the retina are immediate reactions. However, the photoreceptor cells (rods and cones) take different amounts of time to adjust. The rods, which play a larger role in scotopic vision, may take more than 30 minutes to reach full sensitivity. 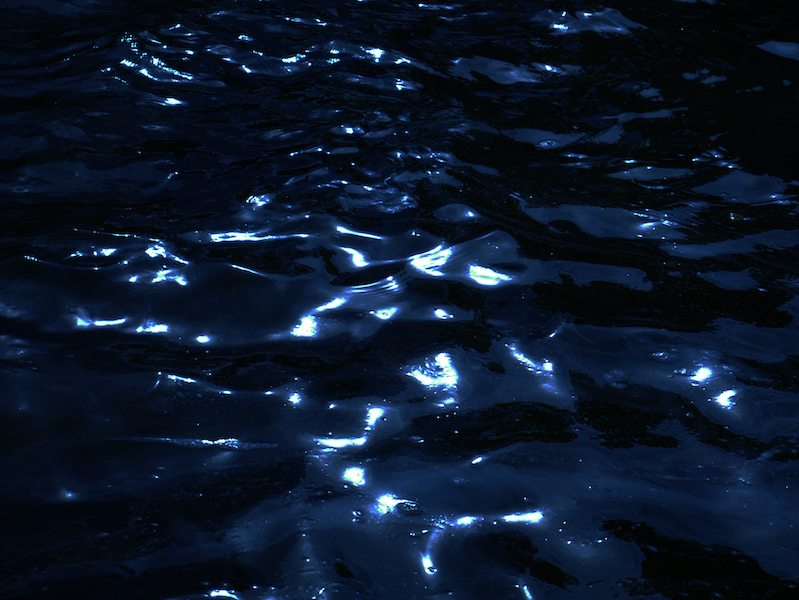 During the process of dark adaptation the photopigments of the eye are regenerated and forms begin to come into focus. 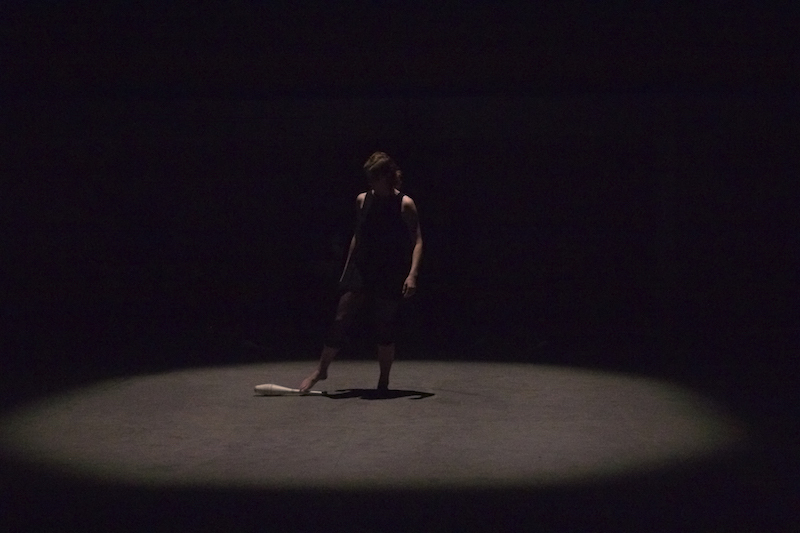 This piece attempts to simulate acoustically the experience of entering a very dark space. In this case, the hearing of the listener slowly sharpens and a sonic form emerges out of silence. This is a moment suspended in time, slowly recovering. 8-channel site-specific sound installation. Created during the residency „Buitengewoon“ at id11 in Delft, Netherlands and permanently installed at Delft's Kabelfabriek. 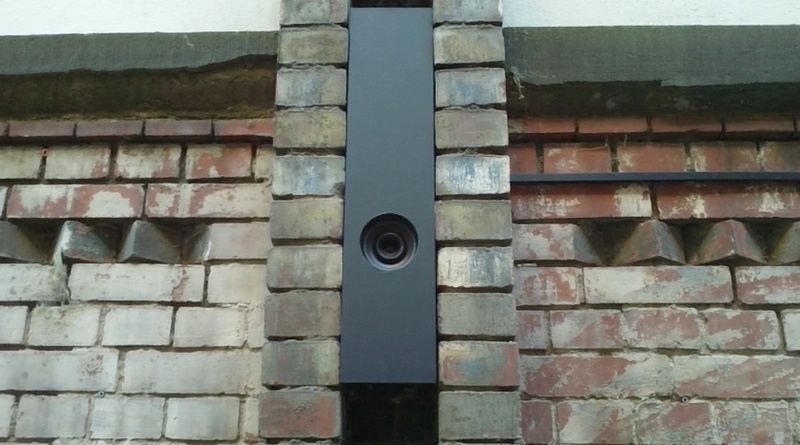 Resound is an 8-channel sound installation built into the row of vents on the 25-meter front façade of the Kabelfabriek. The work references the New Church of Delft in the city center, which was built in the 15th century and features a prominent 4-octave carillon. Since 1987, carillonneur Henk Groeneweg has been its guardian, responsible for weekly concerts and the automated music as well. In this installation, the melodies that strike the quarter hour in the city center have been reconstructed with samples of the bells of over 100 bicycles recorded in the area. These sounds have been combined with field recordings made in the city of Delft (including of the original carillon) and the reverberations of the metal vents themselves into short, spatially dynamic miniatures. 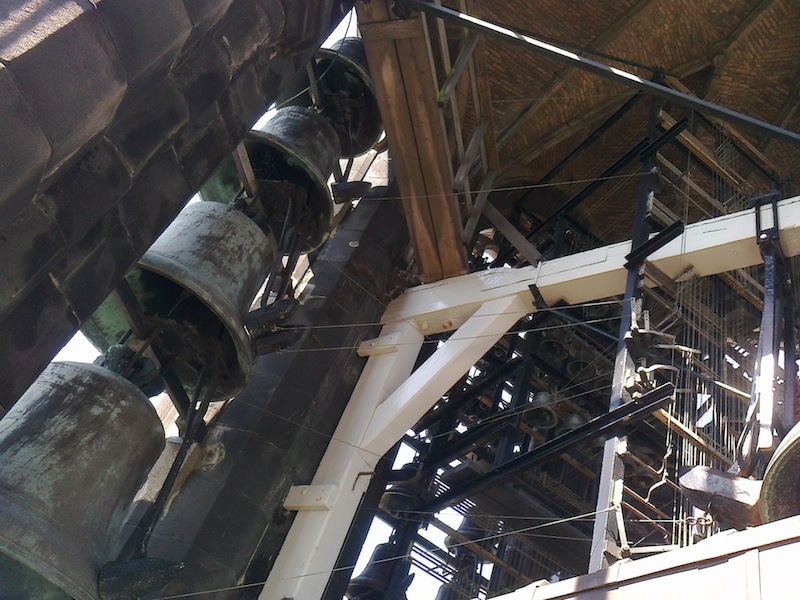 These miniatures are played at every quarter past the hour, on the same schedule as the carillon of the New Church. Many thanks to Henk Groeneweg, Frans van Drielen, id11 and Douglas Henderson. 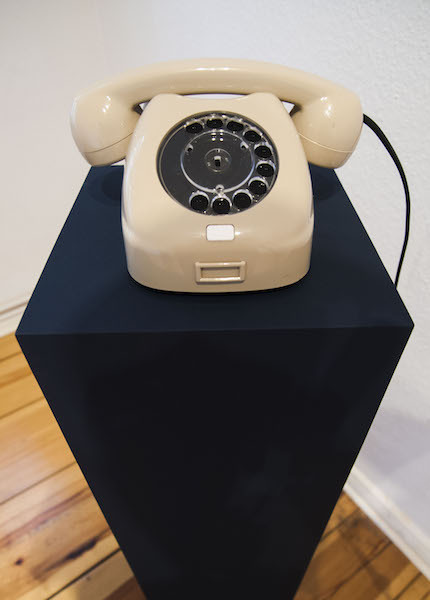 Sound installation with three Tesla T-65 telephones, each with an arduino, waveshield, and 1-channel audio. 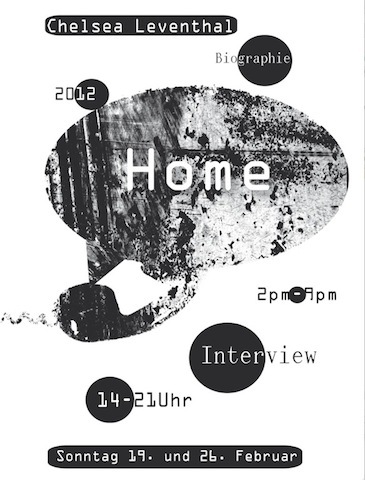 Many thanks to Knut Remond and Katharina Moos at Ohrenhoch, Berlin. 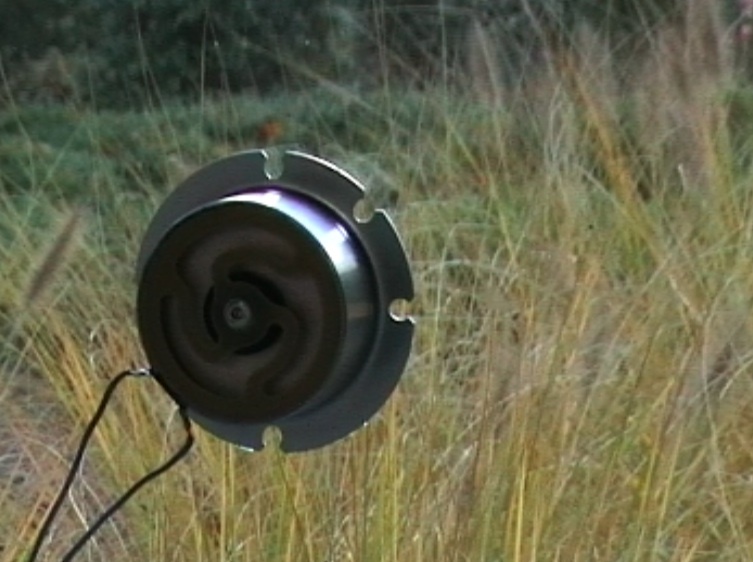 Site-specific sound installation with three speakers and three motorized spools. Presented during the group exhibition "Son a tous les Etages" organized by the department for Experimental Radio, Bauhaus Universität Weimar. Musée Réattu in Arles, France. 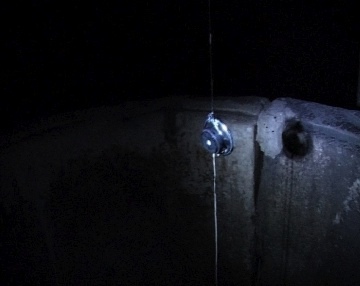 In this installation, small moving sound sources are used to explore the particular acoustic of the well, which is 80 centimeters wide and over 5 meters deep. 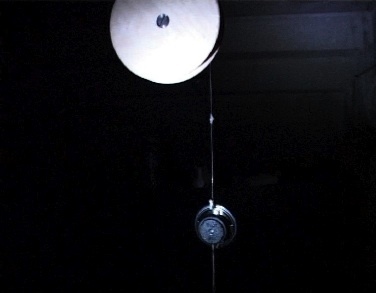 Three spools are motorized to lower small speakers several meters into the well and then pull them back to the surface in an infinite loop. The listener can hear the signals wane as the speakers disappear into the well, and then grow in strength as they rise to the surface. Simultaneously, the depth and shape of the chamber affect the filtering and resonance, processing the sound naturally and dynamically. The sound material includes texts, sustained tones, and white noise in short impulses. These clicks function to facilitate the localization of the speakers even when they cannot be seen, allowing the listener to directly experience the acoustic effects of depth and distance. 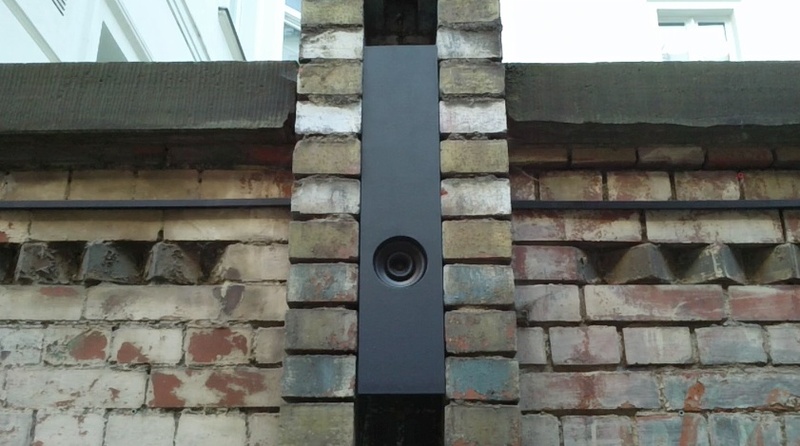 21-channel sound installation. For the group exhibition “Ohrwald” organized by the Studio for Electroacoustic Music (SeaM), Hochschule fur Musik Franz Liszt Weimar. Presented at Hainich National Park, Thuringia. 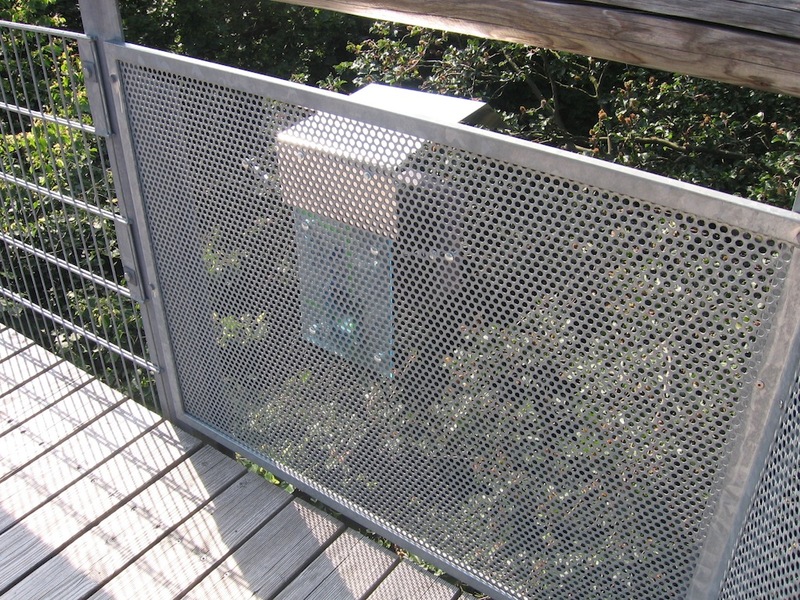 For “Ohrwald”, 21 speakers were installed along the 300-meter long tree-top walkway in Nationalpark Hainich. Pieces from Anja Erdmann, Andreas Vorwerk, Reingard Lipp, Hanns Holger Rutz, Ursula Meyer-König, Björn Lindig, PyoungRyang Ko, Christian Helm and myself were diffused in rotation. 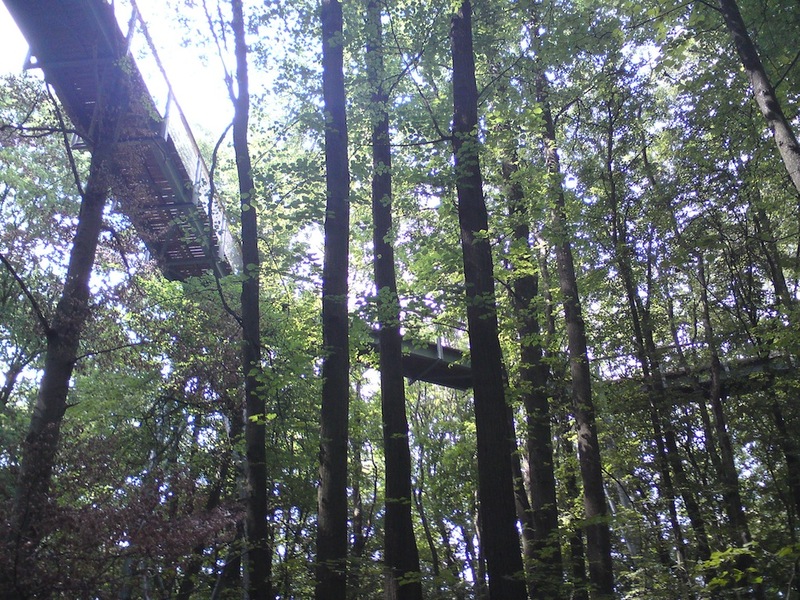 These sounds further augmented the otherwise uncommon experience of the forest from up to 25 meters above the ground. "Electric Forest II" uses ambisonic panning to project two "clouds" of sound that rotate in a large circle, traveling alongside and underneath the pathway. The visitor experiences a swarm of natural and synthetic insect sounds which passes through them, punctuated by equally ambiguous synthetic reproductions of a woodpecker drilling into wood. These sounds blend into the environment of the forest, but simultaneously challenge the expectations of the listener regarding timbre and spatialization. 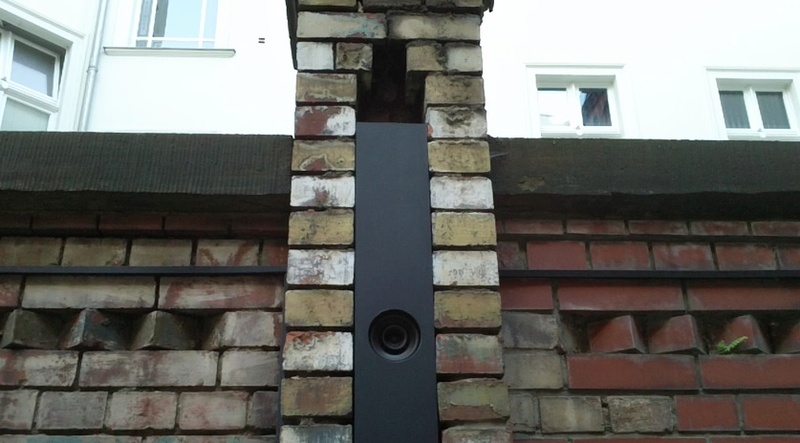 27-speaker, 12-channel site-specific sound installation. 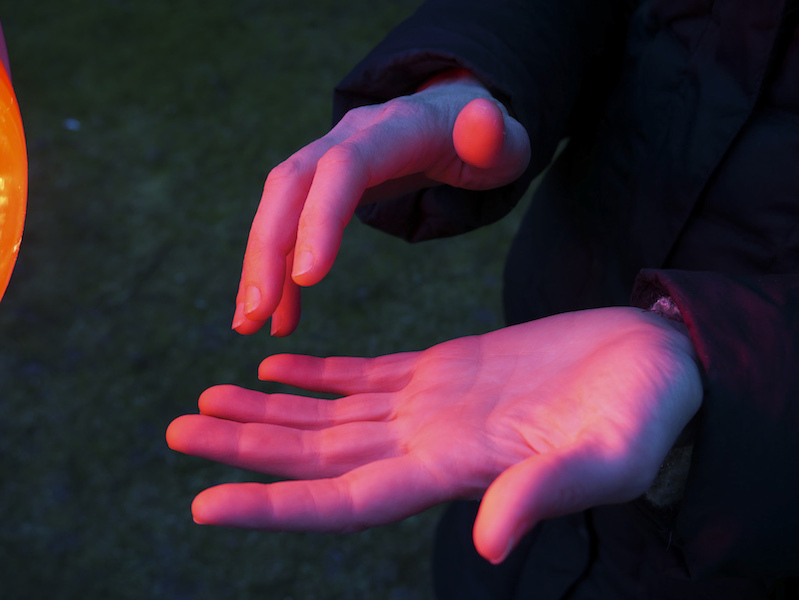 For the group exhibition “Ringen” curated by Susanne Husse and Charlotte Esser. Galerie Andrae Kaufmann in Berlin, Germany. The depot, built at the turn of the century, was used for many years for the storage of various goods. 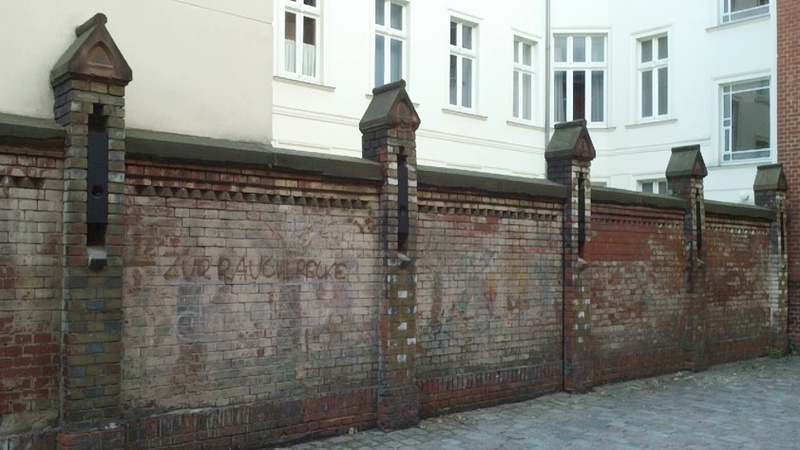 During world war II, the surrounding area was heavily bombed, however, the Schröderstrasse remained for the most part intact. After the war, a coal company occupied the building, followed by a firm supplying batteries and distilled water. 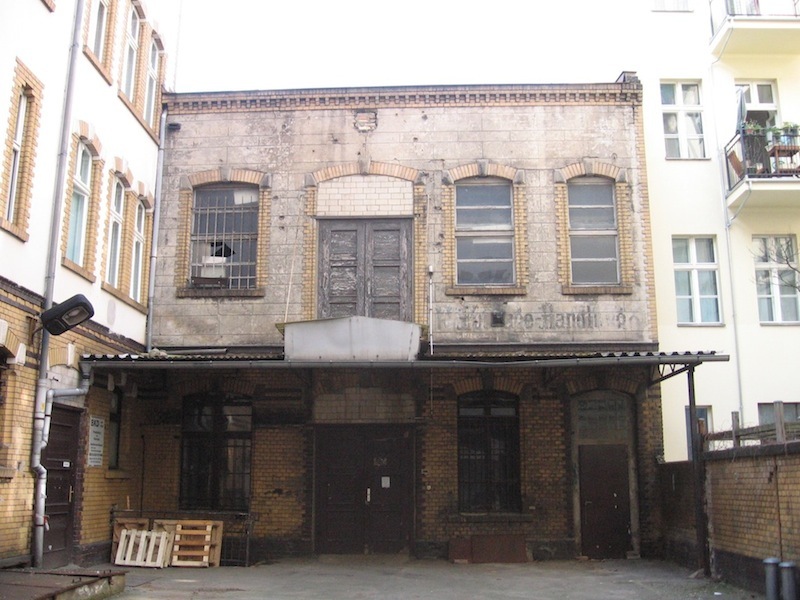 The building has recently stood empty and abandoned, in poor condition due to the production of battery acid that took place over the years. For this installation, seven large speakers are placed in the interior of the building, and 20 small, transparent speakers attached to the beams underneath the roof that hangs over the entrance to the depot. 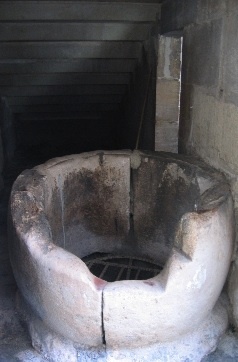 This configuration serves as an instrument. 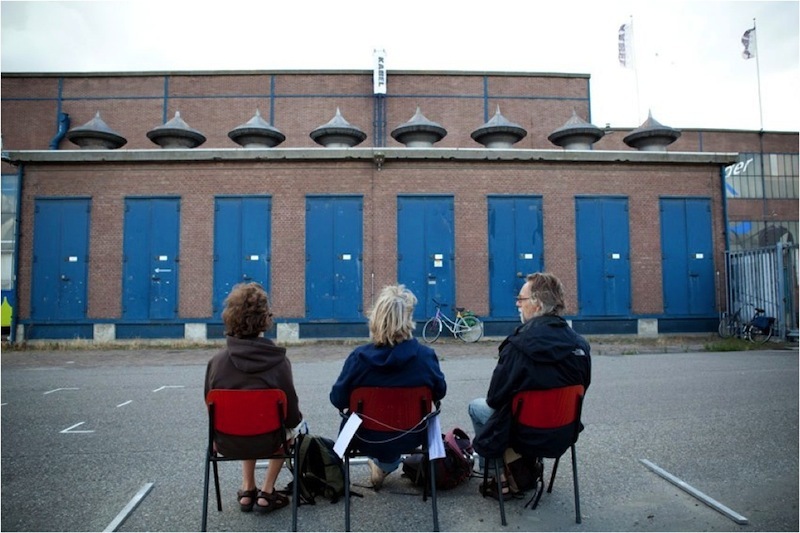 The façade of the building is transformed into a listening environment in which the listener, standing before the front door of the building, can hear a dialog between sounds from inside the building and from overhead. 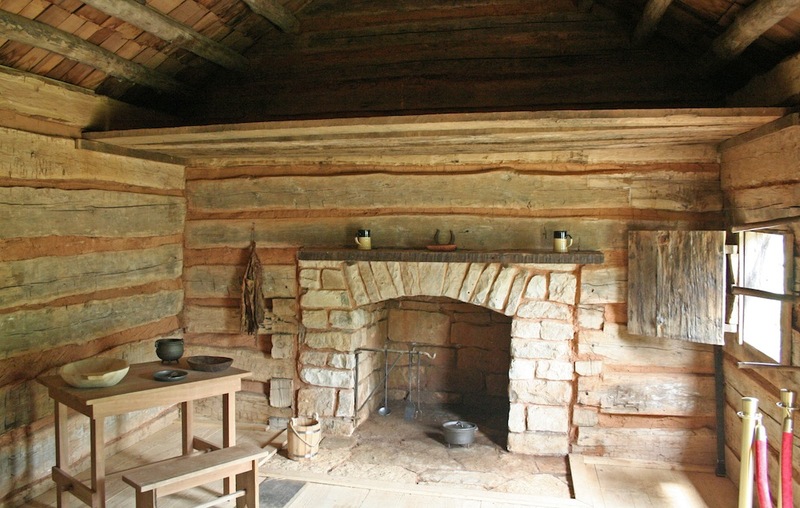 The sound material was chosen for its relevance to the site: a fuse box, running water, wood and metal objects falling, a furnace, and old doors opening and closing and fine debris falling on different surfaces. 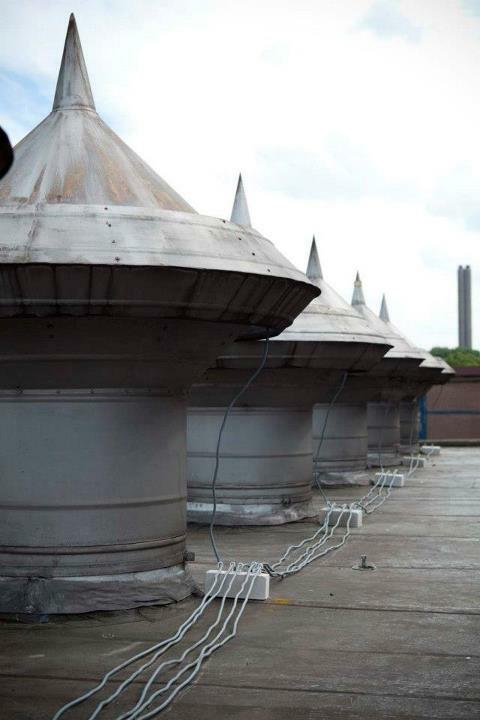 These samples were then orchestrated into 12-channel musical gestures which swept through the building and onto the roof. 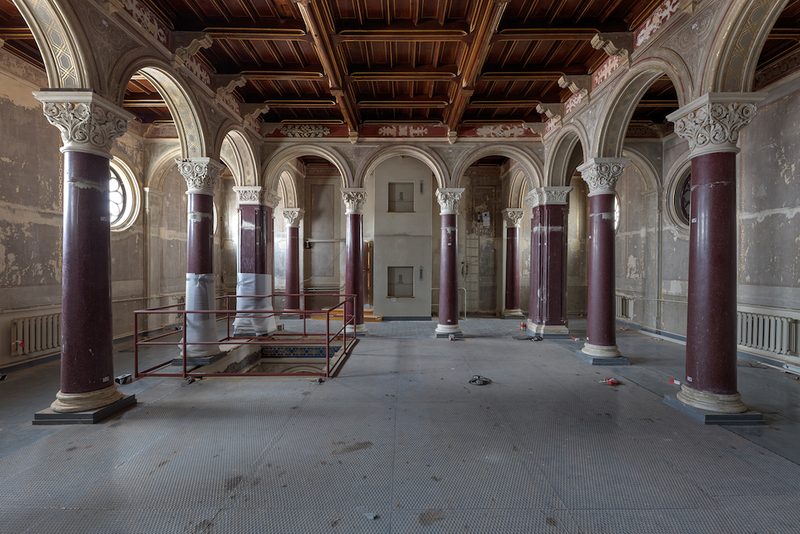 The building is transformed into an active, articulated, and aggressive aural environment in direct contrast to its current passive state of abandonment. 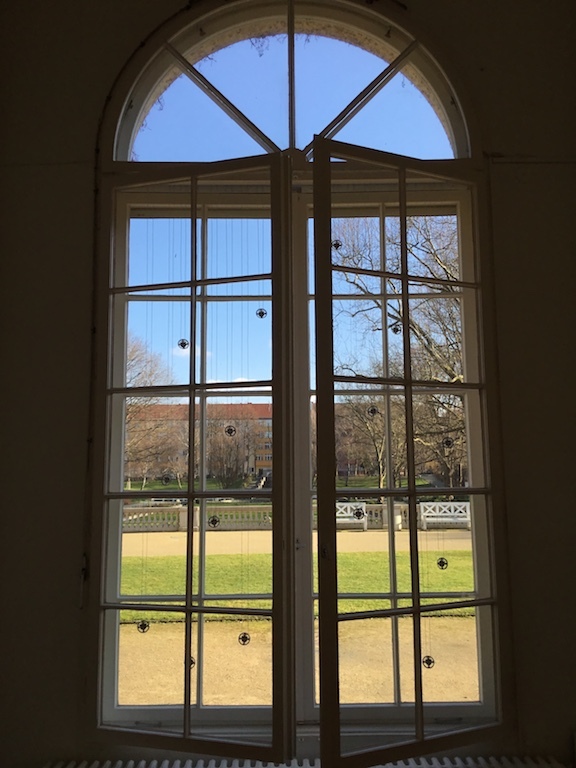 Sound installation with eight transducers on eight windows. For the group exhibition „Le Empire des Signes“ Akademie der Künste Berlin. Preservation was created for “L’Empire des Signes” a group exhibition curated by Martin Supper in conjunction with the “Notation” exhibition and conference at the Akademie der Künste. 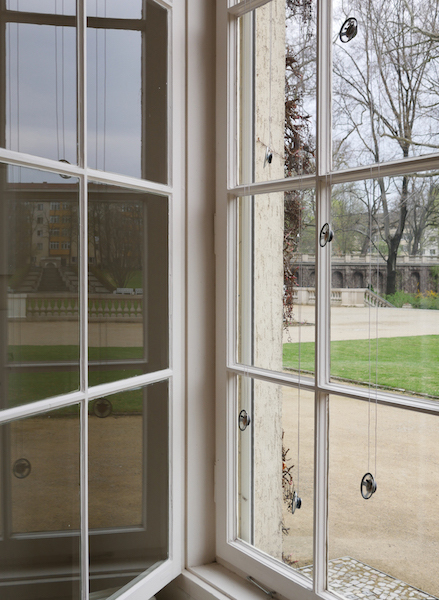 The "Glasgang" on the ground floor of the Akademie der Künste building in Berlin’s Tiergarten is lined with large windows, allowing the visitor a full view of the surrounding gardens. 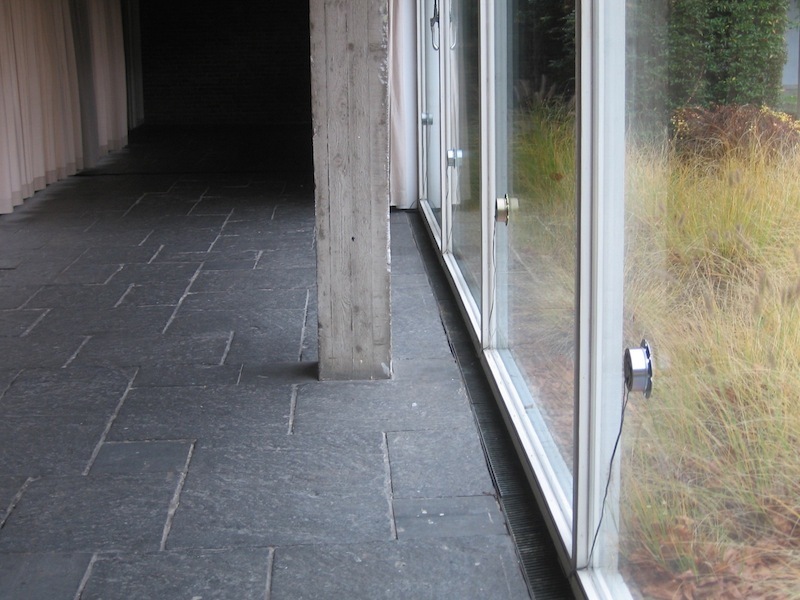 A bass-shaker transducer was attached to each of the windows, letting them serve as transparent speakers through which an 8-channel slowly evolving soundscape was diffused. 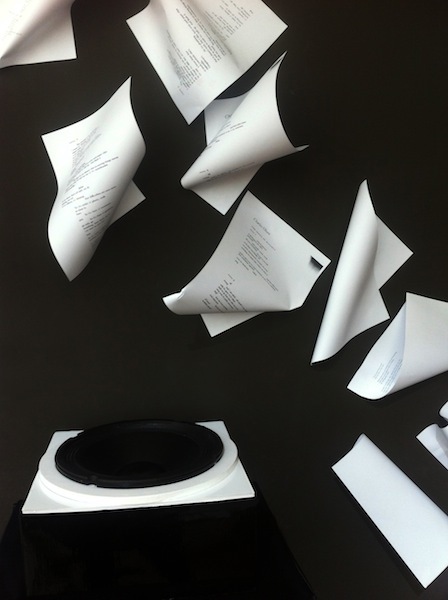 The sounds chosen for the installation create a sonic representation of draft processes. 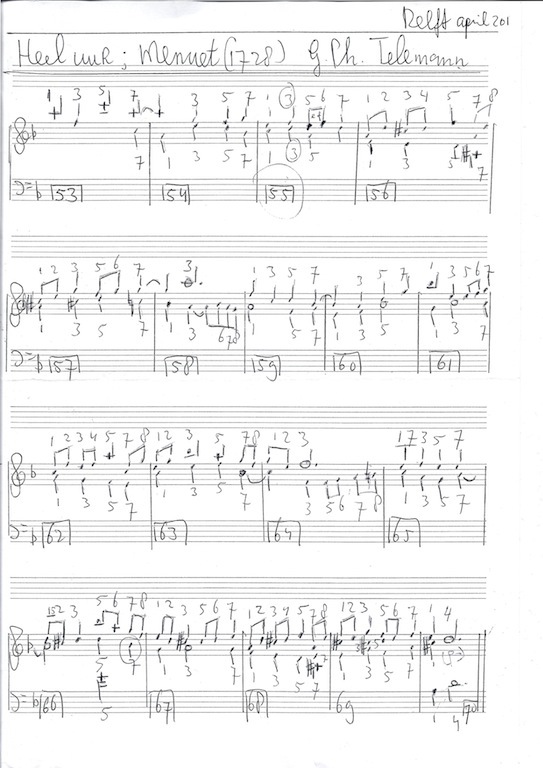 Samples of typewriters, the motors of recording equipment, pencil on paper, musicians practicing, and voices in discussion were used to represent these byproducts of the creative process. The result is an active, yet intimate and pensive space.